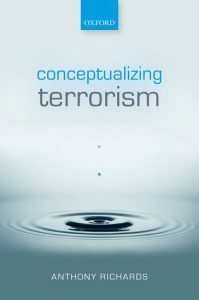 Conceptualizing Terrorism argues that, in the post 9/11 world, the need for an internationally agreed definition of terrorism is more important than it has ever been, despite the challenges that such an endeavour presents. Indeed, in a global context, where the term is often applied selectively and pejoratively according to where one’s interests lie, there is a real need to instill some analytical quality into the concept of terrorism, not least in order to prevent the term being manipulated to justify all manner of counter-terrorism responses. Not only is this important for the policymaking context but it is also an imperative task within academia – in order to strengthen the theoretical foundation of terrorism studies, for all other terrorism related theories rest on what one means by terrorism in the first place. Written from an academic perspective, the book explores the prospects for terrorism as an analytical concept. Arguing that the essence of this particular form of political violence lies in its intent to generate a psychological impact beyond the immediate victims, it goes on to propose the adoption of three key preliminary assumptions that have implications for the definitional debate and that it suggests might help to increase the analytical potential of terrorism. The book then considers potential elements of a definition before concluding with its own conceptualization of terrorism.